Apart from tax benefits, retirement fund body EPFO promises subscribers pension and insurance benefits. The Employee Provident Fund (EPF) is one of the most widely-used investment schemes by the salaried class in the country. The benefits of EPF are extended to all establishments with 20 or more employees. Unfortunately, the past few years have seen the interest rate on it steadily fall, hitting a five-year low of 8.55% in 2017-18. 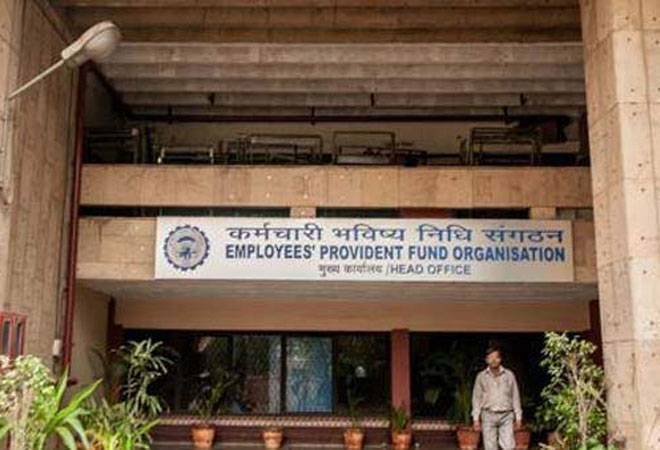 But the buzz is that this year won't see a further dip - the rate is expected to hold steady - given the upcoming general elections, which is great news for the over six crore subscribers of the Employees' Provident Fund Organisation (EPFO). Apart from the fact that an employee's contribution towards an EPF account is eligible for tax exemption under Section 80C, the interest rate earned is exempt from income tax. According to experts, your EPF account continues to earn interest even if it has been lying dormant for more than 3 years. Also, EPF withdrawals are not taxable after five years of continuous service, unless the employer terminates his/her business or the employee voluntarily quits his/her job. While employers and employees both contribute 12% of wages in EPF, 8.33% of the employer's share is diverted towards the Employees' Pension Scheme (EPS). According to the retirement fund body, 10 years of contributory membership ensures lifelong pension under Employees' Pension Scheme 1995. Then there are the benefits promised under the Employees Deposit Linked Insurance (EDLI) Scheme, which is an insurance cover provided by the EPFO. The registered nominee will receive a lump-sum payment in the event of the death of the person insured, during the period of the service. Last February, EPFO enhanced the minimum assurance limit under this scheme to Rs 2.5 lakh, up from Rs 1.5 lakh previously. The maximum assurance benefit is capped at Rs 6 lakh. Any employee who has an EPF account automatically becomes eligible for this scheme but he/she does not need to make any contribution towards it. On the other hand, the contribution of an employer stands at 0.5% of the basic salary or a maximum of Rs 75 per employee per month. If there is no other group insurance scheme, the maximum contribution is capped at Rs 15,000 per month. While EPFO strongly advises against treating PF money as a bank account - after all, the social security benefits accrue only when continuity is maintained - the body allows its members to make partial withdrawals after 5-10 years of service for meeting specific needs including medical treatment, home loan repayment and unemployment. For instance, up to 50% of an employee's share of contribution to the EPF can be withdrawn for marriage or education purposes and an amount up to 36 times the monthly wage plus dearness allowance can be withdrawn for house construction. EPFO also allows withdrawal of up to 90% of the accumulation in the PF account for repaying a home loan. Last year, the retirement fund body also gave its subscribers an option to withdraw up to 75% of their total PF balance after one month of unemployment. This will be a non-refundable advance, which means that a member can withdraw money without closing his account. Members would also have an option to withdraw the remaining 25% of their funds and opt for a final settlement of their accounts after completion of two months of unemployment under the new provision. Alternatively, they can choose to retain their account with the EPFO, which can be used after finding another job. That's not all. There is also the possibility of higher returns on your PF kitty in the future. The EPFO invests 5-15% of its investible deposits in exchange traded funds (ETFs). However, the ETF investments do not reflect in members' account and they do not have an option to increase the proportion of their retirement savings to be invested into stocks. Furthermore, 45-50% of the PF kitty has to be invested in government securities, 35-45 per cent in debt instruments and 5% each in money market instruments and infrastructure trusts. That is why the annual return on PF savings is much lower than that offered by NPS, which offers more aggressive investing options. However, the EPFO has been working on a software that would help show retirement savings in cash and ETF components separately. The next big leap from there would be to give members an option to increase or decrease investments in stocks as per individual risk appetite. In fact, the EPFO's apex decision making body, the Central Board of Trustees, has already suggested exploring such possibilities. Hence, good things could be in store for subscribers in the year ahead.